Acting Jobs>Events & Promotional Jobs>Upbeat Street-Team Members Needed to Join us Outside London Clubs & Bars! Upbeat Street-Team Members Needed to Join us Outside London Clubs & Bars! Hours: Part time - Thursday & Friday, 9pm-1am. Ahh, good question. We're looking for upbeat people with fun personalities to join our street team and help promote our new app 'Arrive', outside clubs and bars in Clapham, London, during certain evenings. 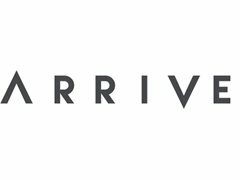 Arrive is a new ride-hailing app. Think Uber, but with choice. We're the only cab app that allows passengers to choose cars based on ratings, price, ETA or even if they wanted a female driver. We're committed to giving passengers choice instead of dictating to them. Aspiring actors, comedians, presenters and models would be perfect! Cool peeps, really. Those that are confident, outgoing, have good communication skills and are able to spark up conversations with energetic strangers once they leave a bar or club. You don't need to have any previous experience for this role! It is personality-based, so you just need to have a big, vibrant personality and be a confident communicator. Previous face to face experience such as sales, retail or promotions would be helpful. promoting the benefits of our app. * Work in a fun and sociable team of like-minded people – make lifelong friends! Starting from Thursday 15th February 2018. Actors & Models Wanted For Commercial Work!